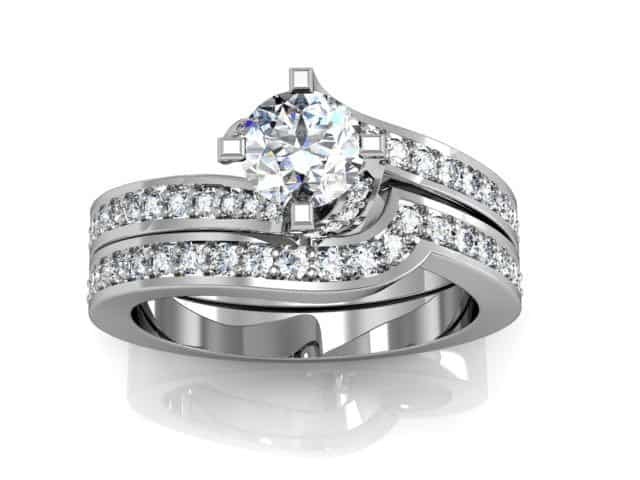 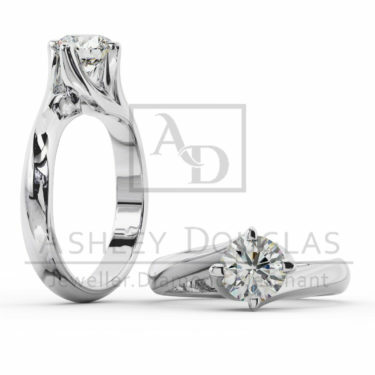 4 claw crossover solitaire engagement ring with grain set diamonds in band and side. 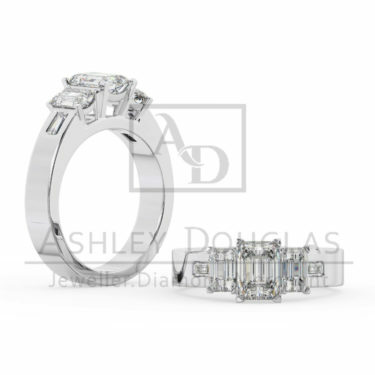 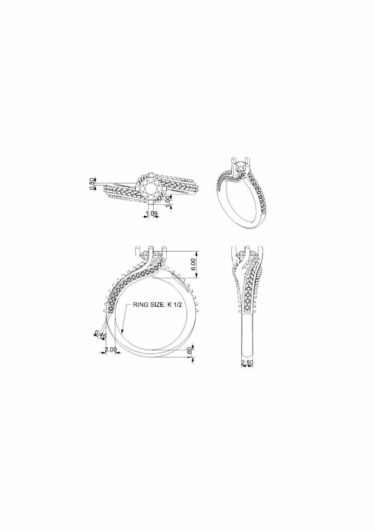 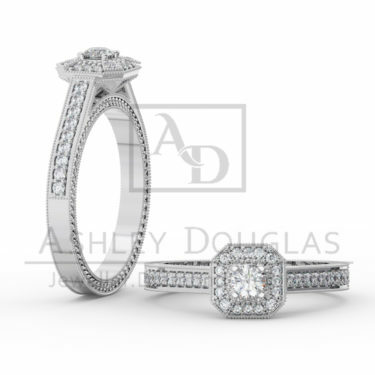 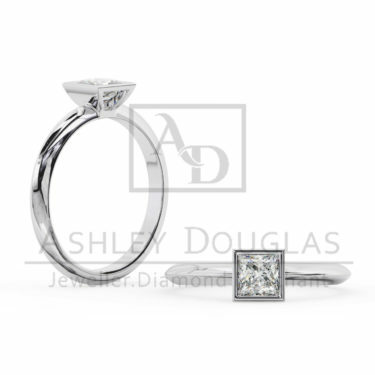 Set with 1 x .50ct F SI1 round brilliant cut diamond and 54 = .35cts grain set FSI round brilliant cut shoulder diamonds. 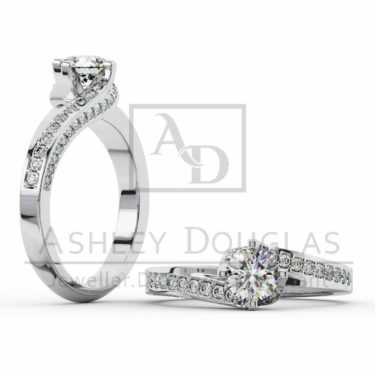 Diamonds weights are for engagement ring only, please enquire about matching wedding band.